Description of Commercial Property Insurance. Explanation. Commercial Property Insurance is a form of business insurance that covers businesses property in case unpredictable circumstances arise. Such circumstances could be fire, theft, accidents, and natural disasters. A commercial property insurance is also named a Business Property Policy. It protects firms against property loss or damage caused by events such as theft, accident, fire, natural disaster. It can be useful for both large, medium and start-up businesses. Office buildings, industrial buildings, warehouses, medical buildings, hotels, malls, retail stores, shopping centers, etc. Note that a regular commercial property insurance only covers the physical damage to the business. A business interruption insurance is needed to also cover the the loss of income following the interruption of business operations! From a historical point of view, commercial property insurance dates back to the the maritime enterprises of the Phoenicians, Greeks and Romans. During the 17s century, traders insured their ships, goods, buildings and properties. Bottomry was the first type of property insurance which protected ships and their cargo. In the 17th century the Great Fire of London demonstrated the need to insure buildings. Basic: Basic commercial property insurance only covers ordinary and common events such as damage from fire, wind, vehicles, aircraft, civil commotion and lightning. Broad: Broad commercial property policy provides basic coverage with additional risk events such as water, ice, snow, sleet, structural collapse and sprinkler malfunctions. Special: Special commercial property insurance is the most complete because it covers companies against all types of losses except some exclusions outlined in the contract. It includes terrorism, war, insect, flood, earth movement, vermin infestation, ordinary wear and tear. Replacement Cost Coverage pays what you will have to spend to replace the items at current market prices, regardless of depreciation or appreciation. Actual Cash Value Coverage (ACV) reimburses the company for the property’s actual (typically depreciated) value. Obviously replacement cost coverage is more expensive than actual cash value coverage. There are policies that combine different types of coverage. As all policies, commercial property insurance could vary depending on country, insurer and policy. Typically, this kind of policy covers buildings occupied but not owned by the insured, newly acquired or constructed buildings, employees’ personal, off-premises properties located off site, business interruption coverage, extra expense coverage, valuable papers coverage, ordinance or law coverage, boiler and machinery coverage, inland marine coverage. Owners can buy commercial property insurance if they own, rent, or lease a building. When a company operates in various sites, this can be covered under a single policy. Businesses’ commercial property rates are determined by some risk factors. Commercial property insurance can be expensive, although the costs can be entirely deducted as expenses. 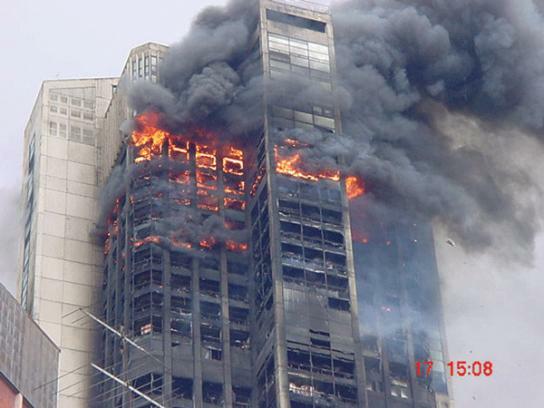 This ends our Commercial Property Insurance summary and forum.